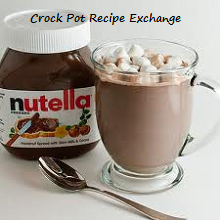 In a 4 – 5 quart crock pot add cran-apple, lemonade, apricot nectar and water. Using a vegetable peeler zest the orange. Juice the zested orange and add to the crock pot. Wet the cheese cloth and wring out excess water. Open the cheese cloth back up to the 8″ square size. Place orange zest, cinnamon sticks (broken into smaller pieces), allspice and cloves in center of cheese cloth. Bring the corners up and use butcher’s twine to secure the spice mixture in the cheese cloth. Place the spice bundle into the crock pot. Cook on low for 5 – 6 hours. Remove the spice bundle and stir before serving in heatproof mugs. This recipe shared at Hearth and Soul.